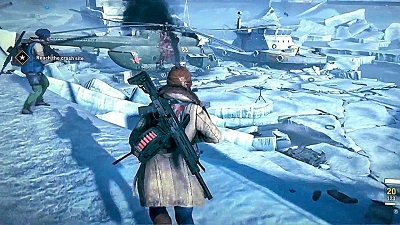 Find World War Z review, story, gameplay, release date, news, screenshots, trailers, walkthroughs & more. World War Z is a zombie survival horror video game like Days Gone & The Walking Dead games. The game is also being a fast paced co-op multiplayer, third-person shooter. We have added everything we know including World War Z review, story, gameplay, key features, release date, news, screenshots, trailers, walkthroughs & more. World War Z is based on the fictional book & the movie. Player has to deal with large hordes of more than 500 zombies. Those zombie hordes act like a hive mind & with their bodies those zombies’ builds bridges in order to scale walls & span gaps. 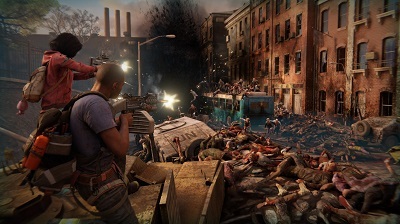 Player has to team up with other co-op players & kill zombies in large numbers as zombies move in enormous numbers in the form of hordes. The game has three episodes of three levels each. The fourth episode is in the form of DLC. The game is a mix of the book & the movie. 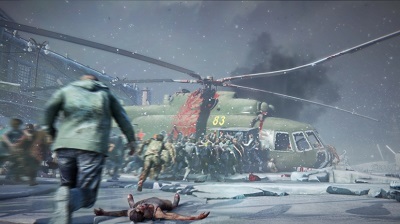 World War Z is released on 16 April 2019 on PC Windows, PS4 & Xbox One. Watch World War Z gameplay overview official trailer. Watch World War Z cinematic gameplay official trailer. Watch World War Z gameplay walkthrough part 1 (Story Mode). Watch World War Z gameplay walkthrough part 2 (Story Mode). Watch World War Z gameplay walkthrough part 3 (Story Mode). Watch World War Z gameplay walkthrough part 4 (Story Mode). Watch World War Z gameplay walkthrough part 5 ending (Story Mode).